"On June 22, Cricket Wireless will become America's first fully prepaid wireless carrier to offer Apple's iPhone, with an "unlimited" $55-per-month plan." 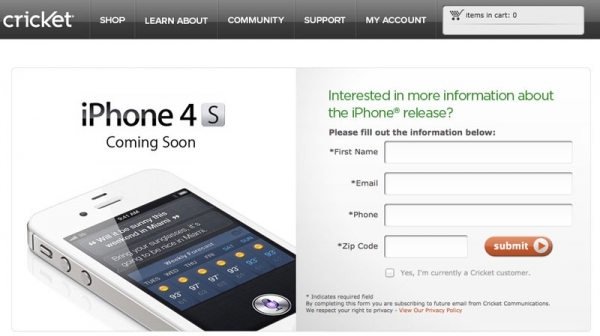 Looks like they will be offering the 16GB iPhone 4S for $500.00 and the 8GB iPhone 4 for $400.00 USD, with both being compatible with their $55.00 USD per month unlimited talk, text and data plan. This makes them the larges of the regional carriers to receive the iPhone.